Given that research shows that voluntary reading is the best indicator of success around Stephen Krashen, an advocate of free voluntary reading says: "readers do well on tests because they have no choice, because they have acquired, not learned, grammar, vocabulary, and the conventions of writing." I would rate that as my no 1 priority to address: Make the discovery of fun, enjoyable, interesting, comfortable reads possible for all of our students -many need mountains of encouragement and guidance in this area. Sadly, students see themselves as a failure as other peers, who have been voluntary readers from very early days, are so much more competent students than they are. The divide is wide and for many it seems like it is too hard to ever narrow that gap. The earlier we can enthuse our students the better! In the School Library Journal article: Are E-books Any Good? Do digital books help young kids learn to read,or are they mostly fun and games? Lisa Guernsey, director of the Early Education Initiative at the New America Foundation states: "States and school districts in America are starting to make deals with ebook companies to provide yearly subscriptions to thousands of students at a time." What about here in Australia? Are there any moves to provide National subscriptions in line with our new National Curriculum and stretch pressurised school budgets and provide some equity in resource availability for our students. Researchers such as Stephen Krashen, and others who study what helps children learn to read, consider providing kids with easy access to an abundance of nonfiction and fiction books of paramount importance. Should libraries turn to electronic picture books to help them provide that access? 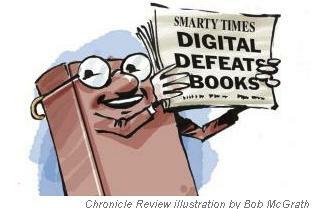 Will E-books help or hurt? Read all about e-books to make a well informed decision. Polanka, Sue. No Shelf Required® includes eBooks, audio books, and other digital content found in libraries as well as the technology needed to read and listen to this digital content. Lagarde, Jennifer. Hooked on e-Books This informative session shows how to best incorporate e-readers into classroom instruction. Parker, Kathleen. E-Book Educators Group features a variety of e-Book-related topics, including the iPad, special needs, e-Book reading issues, and kindles. INFOhio E-Book Study Group - eBooks and eTextbooks can be used effectively in school libraries. This group also studies issues related to the mobile devices that can be used to read eBooks. Casida, Fiona. Pixilated Librarian E-Book and E-Reader Blog Comprehensive sources of current E-book and E-reader information (as they relate to classroom and instructional use. Topics include “DRM and File Formats”, “E-reader Rental Form”, etc. In his post, The future of print: 21 interesting e-books for kids | Dangerously Irrelevant | Big Think, Scott McLeod, J.D., Ph.D., an Associate Professor in the Educational Administration program at Iowa State University, states that: "the lines between electronic books, videos, animation, interactive games, and learning software are blurring and it’s going to be fascinating to see what gets created as authors, artists, animators, game designers, photographers, videographers, educators, and publishers work together over the next few years." 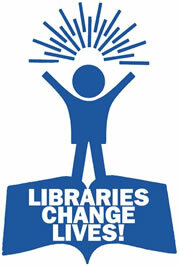 School libraries: Ready to adopt? Why would we not include such engaging resources for our students? Check out some of the e-Books I have shared with my school community. I will let Carol Horner, Director of Technology at the Wesleyan School, have the final say in this blog post: "Today's students have grown up using technology to communicate with and engage society. They have had access to computers, cell phones, email, and the internet since birth. They speak the language of technology fluently and are as comfortable with the digital screen as past generations have been with pen and paper. Education must evolve to keep up with the way these digital natives learn and process information. Ebooks, if implemented properly, have the potential to revolutionize education." What are your plans for including e-Books in your library?